In honor of the United States' first gold medal in 40 years, this year's chess camp will focus on the victorious US Olympic team. 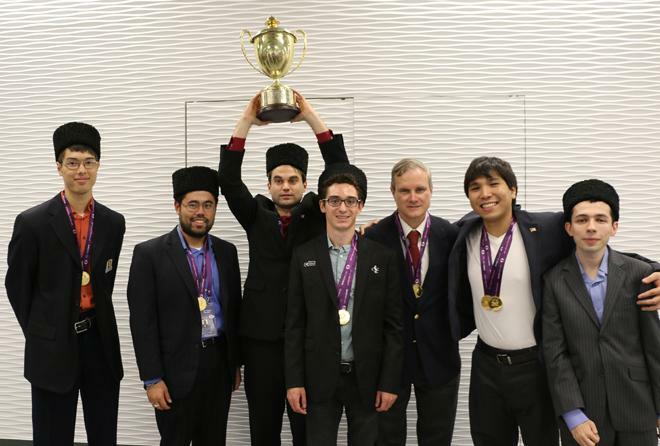 Over the course of the week, campers will learn about the 42nd FIDE Chess Olympiad and the amazing members of the 2016 United States Chess Olympiad team. We will study the actual games of the event as well as the strengths and/or style of each team member. Along the way, campers will participate in a myriad of creative and stimulating challenges as they deepen their understanding of the game of chess. Camp will conclude with an official USCF rated tournament, complete with trophies for outstanding performers. Sam Shankland (board 5) and Wesley So (board 3). Learn or improve your chess in a fun environment. Campers will participate in a series of fun activities that encourage creativity and teamwork as well as instruct. Opportunity for independent study on the school's network and at www.chesskid.com will show campers how to improve their chess on their own after camp has concluded. National Master Shawn Pealer will lead this camp along with River Gate Faculty Member Sharon Poston. Activities will conclude with an official USCF rated tournament & pizza party. Free USCF 1 year membership! Free Chesskid.com 1 year membership! Facility has computer terminals for each camper! Our River Gate Chess Camp 2016 has concluded. In honor of Sergey Karjakin's recent victory in the 2016 Candidates Tournament, our Camp divided into two teams; Team Karjakin & Team Carlsen. and a simul with Karthik Rangarajan (USCF 2469). We also made individualized chess books to commemorate the week. View the thrilling last round battle that decided the 2016 Candidates Tournament, Karjakin (Russia) vs Caruana (USA). Our Creative Chess Camp 2015 has concluded. Campers participated in a series of fun, competitive events that required creativity as well as the development of chess skill. En route to play Capture the Flag! National Master and CMSCA Instructor Shawn Pealer conducted the camp along with River Gate faculty member, Sharon Poston. FREE year long membership to www.ChessKid.com! FREE year long membership to the United States Chess Federation! Our Studying the Games of Paul Keres mini camp has concluded. 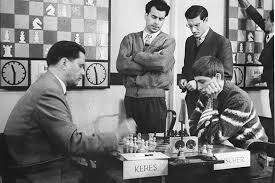 During our mini camp we learned about Paul Keres's life in chess as well as his chess play. Who will be the next Paul Keres? 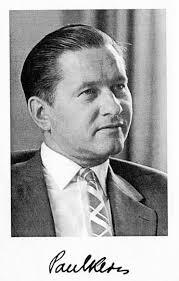 Paul Keres (see Wikipedia entry﻿) was one of the world's top chess players from the 1930s to his death in 1975. 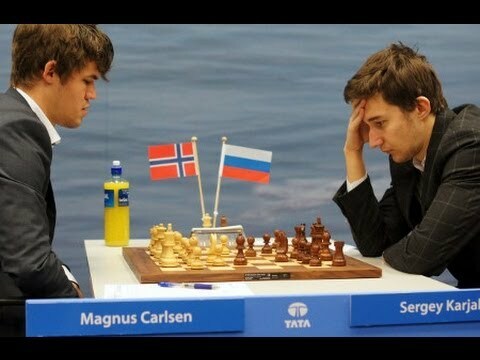 Join us for a fun, yet educational, look at a selection of his best chess games. Paul Keres was born in Estonia during World War I. He rose to the top levels of chess in the 1930s. Some contend that the Second World War may have kept him from becoming World Champion. Others think the absorbtion of Estonia into the Soviet Union may have played a role. In any case, Paul Keres came as close as possible to obtaining a match for the championship an amazing number of times. Despite this, Keres's chess career can only be considered a tremendous success. He was a national hero in his native Estonia - his visage was even printed on their national currency! Paul Keres was initially renowned for his attacking style. He was called "the Northern Chess Wonder" and "the new Morphy". Over the course of time his play matured and he became more positional. He defeated 9 world champions over his lifetime. This camp will be conducted by National Master Shawn Pealer whose first chess hero (besides his father) was Paul Keres. A pizza lunch will be provided. Our Play Like Garry Kasparov Camp has concluded. Over the course of a week campers learned how Kasparov used his opening repertoire and deep positional understanding to set the stage for the many brilliant combinations that characterized his play. Thematic study & practice in: The King's Indian Defense, The Petrosian Variation of the Queen's Indian Defense, The Evans Gambit, The Queen's Gambit Declined and the Sicilian Najdorf. Special Guest: Karthik Rangarajan, highest rated player (2469) in North Carolina gave an undefeated simul. Karthik, in addition to seizing the North Carolina state championship in 2004, was a 2-time National Junior Champion of India (1993 & 1998). Karthik shared how his chess training during his junior years helped prepare him to be a successful businessman. Special Guest: Fide Master Andrey Chumachenko, (2435) is both a Fide Master and a US Senior Master. ﻿Andrey gave an early morning lecture on the active play of Garry Kasparov. 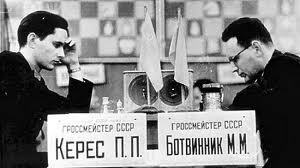 Later the same evening, Andrey showed us the contrasting style of Anatoly Karpov. Special Guest: NM Leland Fuerstman (2033), representing The Charlotte Chess Club, showed us some tricks and traps in the opening. Fun: Bughouse, Geochess, and Plunderchess! Tournaments: 3 Blitz and 1 Standard USCF tournaments! Our Tournament Preparation Camp has concluded. Over the course of a week campers were slowly introduced to the basics of rated tournament play. Practical: The Moves, Chess Notation, Chess Clocks, Tournament Rules, the United States Chess Federation and their rating system, the Charlotte Mecklenburg Scholastic Chess Association and their tournament schedule. Special Guest: Fide Master Andrey Chumachenko, (2435) is both a Fide Master and a US Senior Master. ﻿Andrey presented ten tips for success in tournament play and entertained our campers with a quick simul and analysis. Camp concluded with an official, USCF rated tournament and a viewing of an inspirational chess movie.